Do you remember March 28, 2015? I do. It was a day of envy, pride, joy, and jealousy. On that date, Duran Duran appeared at a label (Warner Bros) event at James Cole Winery. It was a party designed to schmooze radio personnel and DJs by giving them a taste of Duran Duran circa 2015. “Pressure Off” was played, and the band spent time working the room alongside label execs. We fans were treated to a bit of hastily recorded video recorded by cell phone that was widely broadcast by any fan who got hold of the link. 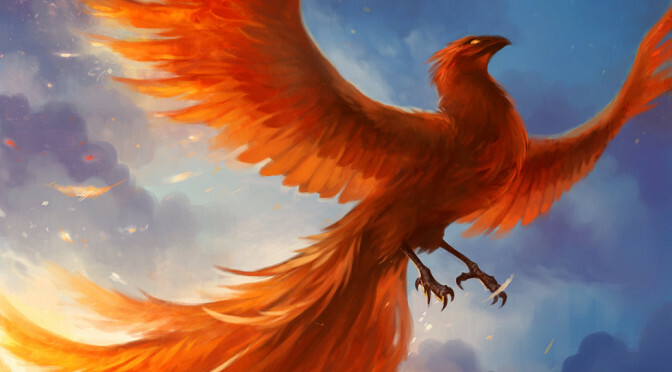 We marveled at the song, and wondered what the rest of it might sound like. Most of us would have given our eye teeth and then some to have been in that room. Honestly, I just wanted to taste the wine. Ok, not really. I mean, I like Duran Duran alongside a good Cabernet. I mean listening to Duran Duran while sipping a good cab. I’d best quit while I’m ahead. Funny enough, Amanda and I had an idea for a listening party once. We actually had the audacity to think that with social media these days, what the band really needed were the fans. A good way to utilize their ever-loyal fan base these days would be to hold an intimate listening party that was truly an experience for a relatively small fans in a controlled, but very exclusive yet relaxed environment. 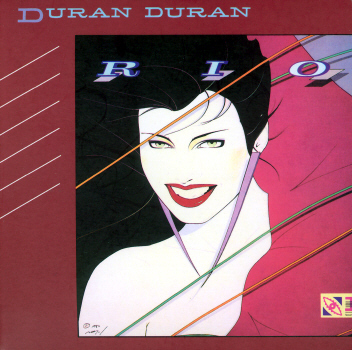 No one listens to radio these days, and radio doesn’t play new Duran Duran anyway, we thought. They needed a different, and quite frankly better way of reaching their fans on a personal level. Why wouldn’t such an idea work? It would be fairly cheap, but mean the world to the fans, who would then be ready to shout from the rooftops about how great this album was going to be, and do whatever needed done…because that’s how an army of fans work. Look at any artist today, from Taylor Swift down to even Panic at the Disco! – they all USE their fans, and they do it by having events just like what we were thinking of. Wouldn’t it be worth a try? So we sent off a proposal to the powers that be. It was the first proposal we’d ever written for something like this, and I’m sure we left things out – like how it would profit the label. We were extremely foolish and naive when I think back on it. (In all honesty – nobody at a label cares about fans. Our feelings about a band or a record do not equate dollar sign…except they really do…but what do I know? I can say this for sure: labels care about money. That’s it. You and I and anyone else who buys a record is purely a dollar sign. They don’t even care about your legs being attached to you unless you use them to buy another song or album!) We should have run a study to show how each person that went to an event like that translates into a certain number of dollars earned for the label. Dollars matter. Fans and loyalty? Who cares! In my head, that’s the part that everyone in the entire industry is missing…but I digress. The past is the past, and I still have a story to tell. You can imagine what happened next, but I’ll share it anyway. Our answer to our proposal? Dead silence, from label to management…not even a note of “Gee thanks, but go back to your silly little blog and leave the tough stuff to us.” Months went by, and then….an announcement of a listening party for radio DJs and music industry people. It sounded far too familiar, even if it wasn’t. Yes, it stung, even if it was purely coincidental. I’m not accusing anyone of anything here – because it isn’t as though Amanda and I cornered the market on good ideas, or even so-so ideas. However, I am saying whatever party they had sure didn’t seem to work well. Out of curiosity, how many times did you hear radio play “Pressure Off” where you live? Granted, maybe having those folks actually play “Pressure Off” on their stations wasn’t the goal. I really don’t know. It would just seem to me that the whole reason for having such an event would be so that they’d be more enticed to play the song, even if the party was more about relationship building than selling an upcoming album. I could be wrong. Admittedly, I’m a layperson. What do I know anyway? So yes, I remember this date. I remember hearing “Pressure Off” for the first time. I also remember how much pride and joy my heart felt that day, and those feelings mean a lot more than an unanswered idea for a listening party. Live and learn. This next school year will bring big changes. Again. Last night I spent my evening editing and helping to rewrite a couple of essays for colleges. Last week we started the college application process. Gavin is going to major in Astrophysics. No, he doesn’t get it from me, that is for sure! On the other hand, my youngest starts with her singing “team” this week. We went from show choir being a casual once a week practice to this year where it will be twice a week (four hours practice) and Saturday performances. She’s still doing piano and soccer, and I am now down to one day of the week where I will not be doing the mommy-shuttle somewhere. I am particularly pleased that as I get busier with my kids, Duran Duran is finishing their US tour. I was so worried that I’d have to miss seeing them this time. I definitely didn’t miss out. This week they do two dates in San Antonio, then two more in Oklahoma, and then they’re finished, at least for now. They’re talking about doing one more date on the east coast at some point before the end of the year, and I keep hearing that they have plans to go elsewhere in the world, but nothing confirmed and announced just yet. While part of me is sad that I am likely finished planning trips to see Duran Duran for now, I’m also glad that it worked out as it did. I had the chance to see them more than a few times, both a year ago and then this summer. The only shadow cast over this tour was Nick’s absence. MNDR did a fantastic job stepping in for him, and I am forever grateful she did. My summer would have been a drastically different tale otherwise. For the past few years now (yes, years), it seems that the rumor mill has turned constantly, rumors of this being the final tour keeping the wheel moving. Even Amanda and I have caught ourselves beginning sentences with, “Well, if this is the last…” I suppose we can’t help but not think about it occasionally. I wanted no regrets (I’ve since realized that no matter what I do, I’ll always want more). But as the tour went on, I wondered if this really would be the last. I mean, have you seen the band up there on that stage? They all genuinely look like they’re having the time of their lives. Do they really want that to end? And (somewhat) more importantly—are you really telling me that the last shows they do here in the US won’t include Nick? Well, I suppose if they come back before the end of the year Nick might be with them for the one date they’re hoping to do, but it still seems strange. You never know, I guess. Since this tour was announced, I tried to make plans with the idea that this might be the last I see of the band as a whole. I went to a lot of shows—not as many as some—but certainly more than I’m used to doing. I traveled to Toronto so that I could see my friend Heather. I spent most of July with Amanda. We stayed at a couple of really nice hotels, one of which we’d always wondered about staying in, so we finally did it. Even as I did all of that, and stood mostly silent in front of the band as they’d segue from “Sunrise” to “New Moon on Monday” and I’d feel goosebumps on my arms and the hair stand up on the back of my neck each time, I wondered if it was really possible that this could be it. As good as this tour and album cycle has been, it’s also been strange in its own way. The band doesn’t change their set list much. They’ve toured with Chic nearly the entire way….which isn’t really weird, it’s just different. They’re playing a lot of festivals. The show is very production-heavy. Nick wasn’t here for this leg. I don’t even know what happened to the promotion for this album. It seemed like Warner went all-in at first, but then the release for “Pressure Off” was bizarre, and I don’t really care what the band’s PR says elsewhere—I’ve never once heard “Pressure Off” on the radio, so I don’t think you can call it a radio hit. And as far as other singles go, I wouldn’t know if there have even been any. I know there’s at least a video for “Last Night in the City”, but it’s never actually been released. I don’t know how Warner falls in with all of that, but I’d be remiss for not noticing the lack of…well…support in that sense. As always, I’m left with questions. Amanda and I have often said that no matter how much we feel gets answered, there’s still more left unsaid. I was in the car this morning, and the demo version of “Nice” shuffled its way to the top of my iTunes. I know I’ve had the song for a while, but I can’t remember how I ended up with it. It has been at least a couple of years since I sat and listened. As it played, I thought about how far the song had come from the time it was recorded as a demo to the final version included on Astronaut. Aside from the chorus, which was much of the same, if not exactly the same as we heard on the album, the rest of the song definitely had some further evolving and retooling before any of us ever marched up to the counter of our local music store (I seem to recall there still being a few back then!) and purchased our copy of Astronaut in October of 2004. When I hear demos like these, it reaffirms what I already know about myself: I am a music geek. I might not know many of the more obscure bands out there – admittedly finding bands like that takes more time than I’ve really got these days to listen to music (something I wish I could change). I am also not very good at being aware of every type of drum Roger has used or every single synthesizer Nick has used over the years, I’m just not quite that exacting with details. However, I love being able to listen and discover the evolutionary paths the songs have taken on the journey to a finished album. I like hearing the way a bass line has changed, or how the final mix brings out certain tracks and leaves others to be more of a “suggestion” rather than full-blown. Perhaps, as it is in the case for “Nice”, the lyrics have taken a completely different turn. I like hearing that discovery, and in plenty of ways, it gives a little extra insight and minutia into the recording process, which is really cool. I can’t say I am like that about many of my favorite bands. For instance, I have always had a fondness for Tears for Fears, but I don’t seek out their old demos – although I do have an album from back when they were called The Graduate, which was a cool find for me. I also have a few demos that The Killers have released on various remasterings or what-have-you, and while those are interesting, none of them hold the same sort of significance. I remember when the remastered editions of the first album and Rio came out – I was more excited by the prospect of finally hearing a version of Tel Aviv, complete with vocals, than anything else. I listened to that song first, and wondered what made them change it. I remember listening to the original and Kershenbaum mixes over and over again, absorbing every last change and marveling over how something seemingly so subtle could make all the difference in the US market. It’s those types of stories that I enjoy most. I suppose part of that comes from studying pop culture, and seeing that yes, even with (or especially with) Duran Duran, who felt to me like they were so ahead of the time in 1982, the culture here in the US not only had to catch up, but in some ways Duran Duran even had to slightly alter themselves to be picked up by radio. 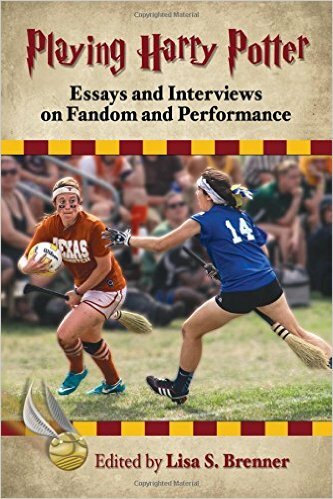 Had any one thing changed in the way they were embraced here in America, perhaps that would have made the difference as to my own fandom – and that both fascinates and thrills me. I’ve really enjoyed the few things the band has shared with us over the years – the demos, the stories, etc. Now that the catalog has been reunited under Warner, I hope that as the years go on we can expect to see more shared from the archives! 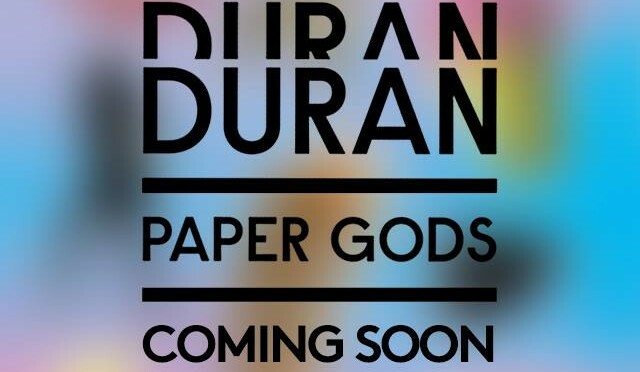 As soon as I got on social media this morning, I saw that Duran Duran had announced that the release date in the U.S. for Paper Gods, Duran’s 14th studio album, has been moved up to September 11th, matching the release date for the rest of the world. As always, I spent some time reading the discussions and reactions that followed. Why Was It Different to Begin With? I think this is the question that we all had when the album release dates were announced to begin with. While, yes, in the past albums have been released on different dates for different places, this seemed different. Before, it seemed like it was one day earlier for one place and a day later for another. Now, though, the date difference was a week, not just a day. Then, of course, everywhere in the world had one date and the U.S. had another. Weird. I don’t have an answer about why the release dates were different. The only thing I could figure out is that September 11th is a significant date for the United States as that was the date the country was attacked by terrorists. Therefore, maybe, some thought releasing an album on that date would be disrespectful? Just a guess. A number of people this morning in response to the change in the release date mentioned about how now that date of September 11th will be a positive date for them. The date will no longer be just about some horrific event but would also be about something positive, something to look forward to! Obviously, for those of us in the U.S., this was welcome news! We can have our copy(s) in our hands a week earlier than we were supposed to! Before this news, I wasn’t terribly worried about the fact that the U.S. wouldn’t get the album until a week later as I figured that I would still be able to listen the new music through YouTube or something of that nature. Yet, I’m now thrilled that I don’t have to get to hear the new music that way! I would MUCH prefer to hear it through a good stereo system with CD or, better yet, vinyl. Now, I have that option. Of course, in reaction to today’s news, some pointed out that it wouldn’t matter as people would get the new music anyway. I’m assuming here that those people are referring to downloading the new album illegally. I realize that people do that but I can’t tell you how much that bothers me. It is one thing to share bootlegs of things that aren’t available for purchase and another thing to download something that is available to purchase. Artists work hard on their art and deserve to be paid! I would assume that those same people who do download illegally wouldn’t choose to work for free, right? I feel that way even with this blog. Yes, obviously, I work on it for free. I feel like I get the “pay” and respect deserved, though, when people take the time to actually read it rather than just responding to a headline or a picture. Work should be valued. Thus, I appeal to people to BUY the new Duran Duran album–not because they need the money or because Warner Bros needs the money but because it is the RIGHT thing to do. Do I think that illegal downloading will be minimized with this new release date? I think it will help, which makes the second good reason to do it. Of course, not all comments were positive about today’s news. Some fans were not impressed by this line in the press release: By Popular Demand, Band Will Now Release Album One Week Earlier in the U.S. For a Global Street Date of September 11th. For some fans, the term “popular demand” means that the U.S. fans whined and complained a lot about the different release date so the date was changed. Now, I have no idea how many U.S. fans were complaining about the release date. I know that we didn’t on this blog. We accepted that the dates were different and no matter how much we wished it was sooner, there was nothing we could do. That said, even if it was to minimize complaints, it was a good decision for the reasons I mentioned above. Personally, to me, releasing the album on the same date for the entire world seems FAIR and why shouldn’t that be championed? I applaud the decision to move up the release date. Of course, I admit that I’m benefitting from the decision. Yet, it makes sense for multiple reasons and doesn’t put one area of the world in front of or behind other parts of the world. In my opinion, it is a win-win. Her Name is Still Rio. Who wants another remaster of Rio? Anyone?? Buehler?? The only difference between this and the 2009 Special Edition (which is no longer available) is that this is in a digipak and not in booklet form. So it is a sort of repackage/reissue of that release. Fair enough. I suppose that upon first glance it does seem a little…well, overdone at this point. After all, it’s been wisely pointed out by more than one fan that Liberty, The Wedding Album, Thank You, Medazzaland and Pop Trash have yet to receive this kind of treatment. Is it really smart to reissue Rio again? Originally Rio was owned/distributed/etc. by EMI – a label that is no longer in existence. The 2009 remastering was also done by EMI (with very little input from the band, as I seem to recall). The remasters of Rio, along with the others done by EMI, did not continue to be printed after EMI was sold off. So where did that portion of Duran’s catalog end up? At Warner. For the first time in many years, the band has been reunited with their catalog, which is something John in particular has mentioned. I don’t think it’s really much of a surprise to see that Rio is being reissued once again. The album continues to sell well for the band because it is the music that made them most popular, so why not reissue it under the Warner label? Warner didn’t buy the catalog for it to sit somewhere and just collect dust, after all. Also, Isn’t it the least bit interesting that this summer, Duran Duran will play festivals, introducing that music to people who, unlike the rest of us, might not have been around to hear it in the 80s? Even if they never play a single new song from the “yet-to-be-named-publicly” album that we call DD14 at any of these festivals, they will expose new audiences to songs like Rio and Save a Prayer…and those songs can be found where?? On a fantastic remastered digipack of Rio. This reminds me a little of the summer TV reruns, “If you’ve never seen it, it’s new to you!” ….”If you’ve never heard it, it’s new to you!” Say what you will about reissues, if they’re trying to find a new audience, it’s not a bad way to go. Furthermore, if you were a band from the 80s that is looking to reinvigorate your fan base and bring in some new lifeblood…why wouldn’t you play festivals known for attracting young people, and reissue your biggest selling album at the same time? You play some festivals, get people interested and talking about you, make some sales on an older, yet still very viable release, and then release your brand new album…which is reportedly meant for a much wider audience than their current fan base. (I’ve had people ask where I’m getting that – listen to the final 20th Anniversary Katy Kafe with Simon. They talk quite a bit about it, and yes, it really DOES make sense!) Those same people who bought your older music, thinking they’ve found a new band, will then hear new music and make those purchases. It happens all the time with plenty of bands, and it is a proven marketing method. Whether it will work as well for Duran Duran or not is yet to be seen, but I’m very curious to see if it will. I know that there are many in the community that scoff at the idea of Duran Duran’s attempts to bring in new vitality to their long time fan base. I can understand why. We all were witness to what happened with some of their previous attempts, and I think to a certain degree, we’re selfish as all get out. We don’t necessarily want to share the band with new generations of fans. We’ve loved them since Day One, and dammit they’re OURS. Those are honest feelings, and I get it. I don’t know if the band or label really gets that, but I’m not sure it’s necessarily important that they do. Is it really healthy though to expect the band to cater solely to their long time fans and NOT grow their fan base? Is it really smart for them not to try? I don’t think so. Selling music is a business. The band has to make money or else it’s really just a very expensive hobby. Duran Duran, while they say they’re not in it for the money, they are definitely accustomed to living a certain type of lifestyle that is beyond the reach of most. They want to see their music reach as many people as possible…and last I checked, the population of 40-somethings in the world isn’t necessarily growing. It isn’t as though we’re all going to bring a friend who has never heard Duran Duran to their next shows and suddenly convert them. No…it’s younger people coming up in the world that they’ve got to expand and reach to find. Like it or not, that’s the reality. If they want to sell their album beyond the 300,000 or so copies that they might be able to sell to their fan base in varying forms…they’d better come up with some music that has a snowball’s chance in hell of being played by people who aren’t already their fans. Again, like it or not, that’s the cold, stark truth. While sure, I sit back and wonder aloud here on the blog about whether they’re going to alienate long time fans in the process, there is a huge part of me that wants to see them do well. Why wouldn’t I? I’m a FAN and I support this band. Isn’t that the point? I’d love to see the album take the world by storm, all the while knowing that I’ve been around to watch the entire plot unfold. I haven’t heard the album yet, I don’t really know what they’ve got up their sleeve(s), but I’m trying to keep an open mind. It really is what we should all be doing, and yes, it can sometimes be difficult. I think that as long time fans, Duranies, die hards….whatever you’d like to call us, we have a habit of being overly cynical. I certainly fall into that ditch on occasion, without question! We think we’ve seen it all and we think we know the band’s career better than they might – because you know, we’re objective. <wink, wink> There are a good number of fans out there that believe the band has already reached the apex of what they can hope to achieve. I’ve witnessed the discussion, I’ve heard the chuckles when the idea of reaching beyond the fan base and finding a younger audience is mentioned, and I’ve read the comments of, “good luck with that. Hope you don’t end up losing your entire fan base in the process.” I’m ever-so cautiously thinking that maybe we shouldn’t all be quite so sure. This is a band that I wouldn’t necessarily count out, and wouldn’t it be AMAZING to see them take off like a rocket or hear them on the radio again? It’s not wrong to hope for that, or at least be open to the possibility. After all, I still love them, and I want to see them do well with music that they are really and truly proud of creating. Don’t you? It’s looking like a mid-summer release for “Pressure Off”, at least at the moment, much to the dismay of fans ’round the globe. Not only did Nick Rhodes mention a July release during his interview with The Daily Mail, but in the most recent DDBlast it would appear that even DDHQ is on the summer bandwagon for the first single off of the band’s new album. This would not matter nearly as much had fans not already heard from the <incredibly inaccurate> grapevine that the single would in fact be out in May. Many were bouncing around the internet, openly tagging May as the month we would finally hear new music, but alas… We are going to have to continue to be patient and know that on the other side, it is going to be worth the wait. I would venture to guess that at this point, I am not the only fan on the planet that is tired of the roundabout this band seems to keep us on. I’ve seen more than my fair share of fans worry “out loud” in comments online that they’re tired of waiting, or that they’re tired of being strung along. We don’t know why they’ve decided to wait a little longer. Maybe they’re waiting to do promo closer to the album release. Maybe they’re waiting so that the single release will better coincide with other events…and maybe I’m just making aimless guesses so that people see that it really might not be the fault of the band. No, it’s likely not their fault, but yes…we’re impatiently ready to hear what they’ve been working on for the past three years. I can only give a toothy smile and say that we’re listening and cannot wait to hear the final result! Slightly more curious to me is the question of momentum. Did it make sense to have the band appear at that listening party of sorts at a winery? Your guess is as good as mine…and we can only hope that all answers will be revealed in time. I know I’m looking forward to watching it all unfold in the coming months. I’m sure that many, if not most fans will be openly forgiving and still pledging their undying love and devotion for this band no matter whether the single is truly dropped in July of 2015 or July of 2020. Durantime? Sure…I think we all get it by now, even if we’re scratching our heads and wondering what is really going on with that hamster behind the wheel at times!